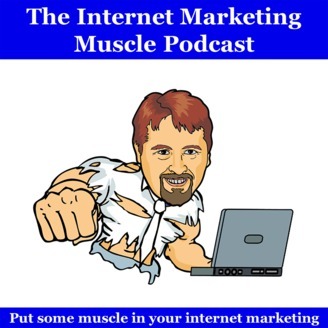 Put some muscle in your internet marketing. These are questions born of fear. Fear of failure and fear of the unknown. Fear that other people can do this but certainly not me. That's my opinion, of course. I used to be a lot like this. But I changed myself. Out of necessity. See, I used to be afraid of my own shadow. I couldn't speak in public. I wouldn't come out of my room when family company came over. In college, I wound up taking 4 classes to bypass the public speaking course I had to take to get my AA (which I'm pretty sure I never got–though I did eventually get my BA in Economics as well as an MBA years later). What did I realize along the way? There was never anything to be afraid of. Tell yourself this: If Bill can do it, so can I.
I'm not special. I'm not smarter than you. I'm certainly not better than you. So, getting back to the question: Who can blog? And, how do I start a blog? Let me tackle each question in turn. Read this. See the man in the picture at the top of the article? That guy is Jon Morrow. He can't move anything but his face. You read that right. He cannot move anything but his face. He uses speech recognition to blog. He's reached over 5 million readers. He's been the top contributor at 3 top blogs. He didn't inherit the money. He EARNED it. Okay, you probably can't be as successful as he's been. Nobody else has. But look what he's done. He can't even type. I've long said that if you can use a word processor, you can blog. It's that easy. But Jon can't even type. And yet, he blogs. Repeat after me: If he can do it, so can I. There is ZERO reason, zero excuses, for not starting a blog TODAY. Back in '96, it was hard to build a website. Now? Easy as Sunday morning. I'm not kidding. It's easy. Now, Just Do It! Want me to read this post to you? Just click the play button! 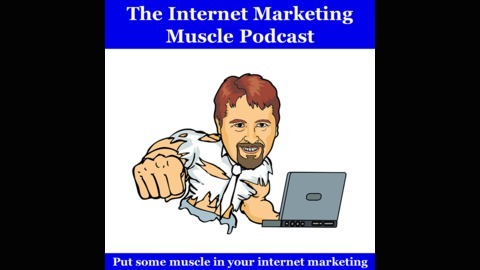 The post How to Start a Blog in 2019 (and beyond) appeared first on Internet Marketing Muscle.